5th Edition to promote World Press Freedom Day. Renate will participate. 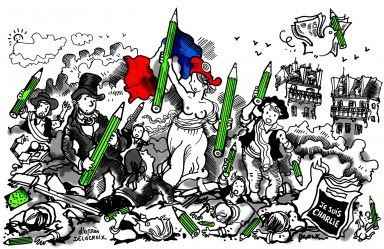 10:00 – 18:00 The Press Cartoon in all its Forms! The aim is that the Speakers Corner will provide a platform where citizens can openly and freely express their visions. There are few places where people can go to be heard. The principles are “Speak Freely, Listen Respectfully, Different Opinions Matter” with regard to resistance and freedom of expression regarding topics such as diversity, ecology, and inequality. Students are often concerned about the future of our society and, with the Difference Day 2019 and Speakers Corner, they will have the opportunity to actively voice their concerns directly to an audience. Investigative journalism is increasingly playing an important role in today’s media landscape. It helps to empower citizens and hold power into account. But is investigative journalism so different from everyday reporting and if so, what makes the difference? This panel will focus on the positive impact investigative journalists can have on society and on their new ways of working together, including across borders. The panellists will also reflect on the need to make investigative journalism thrive and on the possible avenues to support the media and/or journalists working in the field. 15:15 – 16:30 New Technologies and Journalism –The Place of Humans in Journalism Today ? Developments in new technologies and artificial intelligence impact on the way information is produced, disseminated, and consumed; thus (re)shaping the communications landscape. Some of the most common concerns include the potential of AI-powered solutions to amplify the dissemination of disinformation, the impact of non-human generated information/journalism or deep fakes. However, new technologies and AI also have the potential to improve journalism through data-journalism, automated fact-checking solutions, etc. This panel will focus on this positive side and cover how new technologies are helping new forms of journalism to emerge. It will also address questions such as the protection of those new forms of journalism (are they getting same forms of protections than other types of journalists, are they more targeted? And for instance link with JTI initiative and certification mechanisms, also we should cover the need to empower users with greater understanding.